Stephen Gorman, a junior mathematics major at the College of Charleston, spent last summer in a Research Experience for Undergraduates at Davidson College researching the mathematics of ranking methods. Recently he spoke with the College on How to Become a Billionaire in 5 Easy Steps by employing mathematical strategies to pick a winning NCAA Tournament bracket. You can learn more about Stephen’s approach here and even see how his bracket is fairing here. Want to find out how math is used to predict winners? Check out Professor Amy Langville’s book “Who’s #1? The Science of Rating and Ranking” for more information! Professor Langville’s work on ranking and rating methods is just one example of how mathematics can be applied to solve interesting real-world problems. The number Π is pretty amazing! Of course, it what you get when you divide the circumference of any circle by its diameter. Moreover, it useful for measuring angles in such a way that the derivative of the sine function is the cosine function. 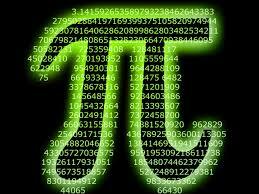 And, yes, it is an irrational number, so that its decimal expansion is not a repeating sequence of digits. Sure, all of these things are interesting, but not amazing. What is amazing is that the number “e” raised to the power “Πi” is -1 and that the probability that two randomly selected positive integers are relatively prime is 6/Π^2! I mean, what’s up with that?!?!? What do those things have to do with circles anyway? It seems as if the geometry of circles must somehow be hiding behind the very structure of the numbers! Another thing that is amazing is how much people love the number Π! How many numbers have their own holidays? Zero and one may deserve them, but Π is the only number I know with a holiday. Every March 14th is “Pi Day”. And it is coming up soon.